Safety is part of the advanced riding programme, but it also improves your skills, encourages you to feel confident on the road, to make good progress, and to get even greater enjoyment from the experience. Advanced motorcycling is the ability to control the position and speed of the machine safely, systematically and smoothly, using road and traffic conditions to make reasonable progress unobtrusively, with skill and responsibility. This skill requires a positive but courteous attitude and a high standard of riding competence based upon concentration, effective all round observation, anticipation and planning. All this must be coordinated with good handling skills. the motorcycle will always be in the right place on the road at the right time, travelling at the right speed with the correct gear engaged and can always be stopped safely in the distance that can be seen to be clear. Do you concentrate and avoid distractions? Do you read the road and anticipate potential hazards in good time? Do you always react to hazards early enough and do you deal with them in a planned and systematic way? Do you use the mirrors and all round observation links effectively before changing speed or position, and do you give the appropriate signals in time when they would benefit other road users? Do you ride with reasonable restraint, but not indecision? Is your judgement of speed and distances always accurate? Do you ride with courtesy and consideration for other road users, including pedestrians? 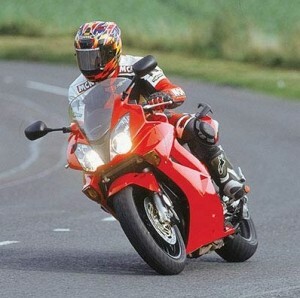 Do you steer the motorcycle safely and effectively? Do you brake smoothly and progressively? Are all your gear changes made at the right time and at the right road speed? Do you use acceleration sense? Do you use the controls with finesse and sensitivity? Where conditions permit do you maintain a safe and sensible level of progress? Do you anticipate and react correctly to situations that develop ahead? Do you adopt the correct road position, and maintain the right distance from other vehicles? Do you approach all signs, signals and road markings correctly and obey them? Do you overtake smoothly, decisively and safely? Do you exercise proper restraint and sensitivity of control when roads are slippery or visibility is reduced? A copy of the IAM RoadSmart Fact Sheet “What is advanced motorcycling” can be viewed here.